Many times people get stuck in the past and struggle with unpleasant memories. 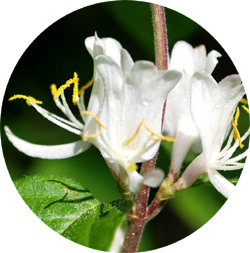 Honeysuckle is a natural remedy that doesn’t change you, it just helps you be more positive and centers you. If you have certain fears, such as a fear of flying or of doctor visits, Mimulus helps to put those fears into perspective. You’ll feel better! If you’re not quite sure what you want to do with your life but you have a feeling there’s something more out there for you, Wild Oat helps you find purpose and decisiveness. If you can’t seem to “shut off” your mind and find some peace, Wild Chestnut just might be the answer! This is just a small example of flower remedies. If you want to learn more, I suggest you visit Bach Remedies. They are a well known and respected authority on the subject. Have you tried flower remedies?